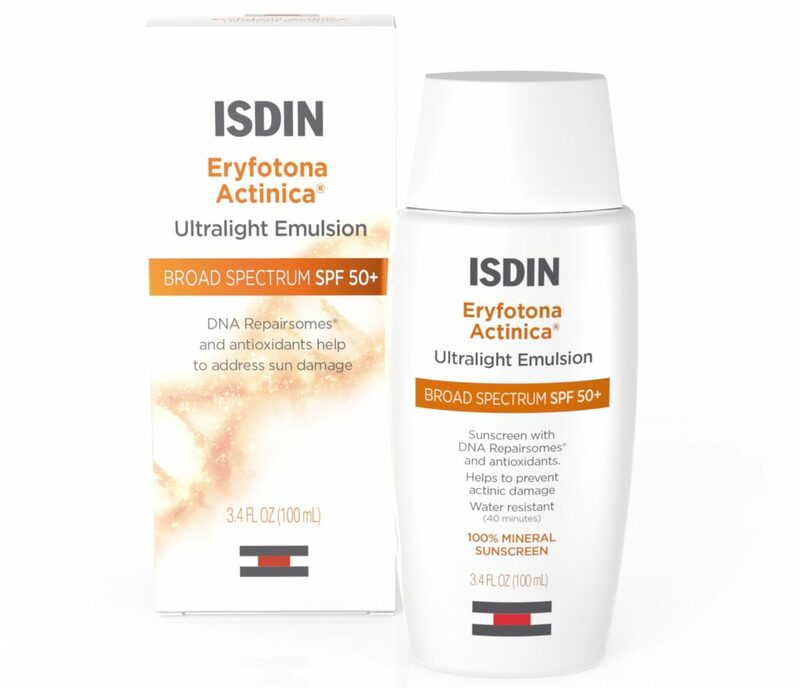 Integrative Medicine of New Jersey is now offering Eryfotona Actinica sunscreen with DNA repairsomes and antioxidants. Studies show that most sunscreens on the market are toxic. • Helps to address existing actinic damage with DNA Repairsomes® that deliver encapsulated photolyase enyzmes. • Patients receiving treatment (cryo, PDT, topicals) or have a history of Actinic Keratoses. • Patients that are undergoing lasers, peels or other cosmetic procedures where sun avoidance is important. With all the sunscreens on the market, how do you identify a safe one? The key to remember is that there really are only two known safe sunscreen ingredients — zinc oxide and titanium dioxide— and they must not be nano-sized. Your safest choice is a lotion or cream with zinc oxide, as it is stable in sunlight and provides the best protection from UVA rays.Your next best option is titanium dioxide. Just make sure the product does not contain nano sized particles and protects against both UVA and UVB rays. Keep in mind that SPF protects only from UVB rays (although if the FDA’s proposed rules are implemented, any SPF at or above 15 must protect against both UVA and UVB), which are the rays within the ultraviolet spectrum that allow your skin to produce vitamin D.
The most dangerous rays, in terms of causing skin damage and cancer, are the UVA rays. Avoid sunscreens with an SPF above 50. While not intrinsically harmful, the higher SPF tends to provide a false sense of security, encouraging you to stay in the sun longer than you should. Moreover, higher SPF typically does not provide much greater protection. In fact, research suggests people using high-SPF sunscreens get the same or similar exposure to UV rays as those using lower-SPF products. What’s more, a recent analysis29 by Consumer Reports found many sunscreens are far less effective than claimed on the label; 24 of the 73 products evaluated offered less than half of the protection promised by their stated SPF. 1. Give your body a chance to produce vitamin D before you apply sunscreen. Expose large amounts of your skin (at least 40 percent of your body) to sunlight for short periods daily. Optimizing your vitamin D levels may reduce your risk of many internal cancers, and actually reduces your risk of melanoma as well. 2. Stay out just long enough for your skin to turn the very lightest shade of pink. Shield your face from the sun using a safe sunscreen or hat, as your facial skin is thin and more prone to sun damage, such as premature wrinkling. 3. When you’ll be in the sun for longer periods, cover up with clothing, a hat or shade (either natural or shade you create using an umbrella). A safe sunscreen can be applied after you’ve optimized your skin’s daily vitamin D production, although clothing is your safest option to prevent burning and skin damage. Keep in mind that in order for sunscreen to be effective, you must apply large amounts over all exposed areas of your skin. This means the product should not trigger skin allergies and must provide good protection against UVA and UVB radiation. It also should not be absorbed into your skin, as the most effective sunscreen acts as a topical barrier. 4. Consider the use of an “internal sunscreen” like astaxanthin to gain additional sun protection. Typically, it takes several weeks of daily supplementation to saturate your body’s tissues enough to provide protection. Astaxanthin can also be applied topically, which is why it’s now being incorporated into a number of topical sunscreen products. Consuming a healthy diet full of natural antioxidants is another highly useful strategy to help avoid sun damage. Fresh, raw, unprocessed foods deliver the nutrients that your body needs to maintain a healthy balance of omega-6 and animal-based DHA omega-3 oils in your skin, which are your first lines of defense against sunburn. Vegetables also provide your body with an abundance of powerful antioxidants that will help you fight the free radicals caused by sun damage that can lead to burns and cancer. FDA Admits Most sunscreens are probably toxic. Of the 16 active sunscreen ingredients used in products on the U.S. market, only two — non-nano-sized zinc oxide and titanium dioxide — have been deemed safe for human use by the FDA. FDA admits scientific data are lacking for 12 active sunscreen ingredients on its list, and asks industry to help in providing more data in order to perform a “rigorous assessment” of all active ingredients on the market. One of the 12 active sunscreen ingredients the FDA claims to be unsure about is oxybenzone, found in an estimated 70 percent of sunscreens. Evidence suggests oxybenzone is an endocrine disruptor, and it is known to decimate coral reefs and harm aquatic life. Research shows 13 of 29 sunscreen chemicals (45 percent) allowed in the U.S. and/or European Union have the ability to reduce male fertility by affecting calcium signaling in sperm, in part by exerting a progesterone-like effect. First off, let me make it very clear that sunscreen is widely overused. There are some circumstances where it is wise and appropriate to use but those cases are few and far between. For the most part, you just need to avoid the sunscreen and rely on sensible sun exposure. Get out of the sun or wear clothing the moment your skin starts to turn light pink. Having laid that foundation, the U.S. Food and Drug Administration (FDA) recently proposed new regulations1 to “make sure sunscreens are safe and effective.” If enacted, this could have a transformative effect on the sunscreen industry as a whole. Importantly, as I’ve noted on a number of occasions, of all the active sunscreen ingredients used in products on the U.S. market, only two — non-nano-sized zinc oxide and titanium dioxide — have been deemed safe for human use by the FDA. Yeah, I know what you’re likely thinking. You can trust the FDA about as far as you can throw them. It’s a captured agency and essentially controlled by the very industry it is seeking to regulate. However, there appear to be no vested interests here and I believe they got it right this time. In its proposal, the FDA admits it does not have enough scientific data to draw any conclusions about the safety of 12 of the 16 active sunscreen ingredients on its list, and asks industry to help in providing more data to perform a “rigorous assessment” of all active ingredients on the market. Two of the 16 ingredients, PABA and trolamine salicylate, have been deemed unsafe, or not generally recognized as safe (GRAS), and are not currently in use according to the FDA. “It is important that, as this rulemaking effort moves forward and the FDA gathers additional scientific information, given the recognized public health benefits of sunscreen use, consumers continue to use sunscreen in conjunction with other sun-protection measures. One of the 12 active sunscreen ingredients the FDA claims to be unsure about is oxybenzone, found in an estimated 70 percent of sunscreens. This, despite studies showing this chemical acts as an endocrine disruptor and has been linked to reduced sperm count3 in men and endometriosis4 in women. Research by the Centers for Disease Control and Prevention shows 96 percent of the U.S. population has oxybenzone in their bodies, which is a testament to just how much sunscreen people are using. Indeed, daily use of sunscreen is one of the reasons cited by the FDA for the need to update safety regulations. People are using far more sunscreen these days, so exposure to potentially hazardous ingredients is of far greater concern than in decades past. Oxybenzone isn’t the only endocrine disruptor though. At least eight other active sunscreen ingredients are suspected of having endocrine disrupting effects. These chemicals can also be found in makeup, moisturizers and lip balms with sunscreen protection. “These results are of concern and might explain in part why unexplained infertility is so prevalent,” senior investigator, Niels Skakkebaek, professor at the University of Copenhagen in Denmark and a researcher at the Copenhagen University Hospital, said. Many sunscreens also contain vitamin A and/or its derivatives, retinol and retinyl palmitate, which have been linked to an increased risk of skin cancer by increasing the speed at which malignant cells develop and spread. Researchers have also warned that some sunscreen ingredients are neurotoxic, posing a hazard to brain health. The authors of this study noted that since sunscreens need to be applied in significant amounts all over the body, calculations suggest the total amount of a given compound being absorbed from a single application could be as high as 200 milligrams. The authors also stress that simultaneous application of insect repellents such as DEET enhances the penetration of the compounds, thereby multiplying their potential toxicity. Most nanoscale particles (microscopic particles measuring less than 100 nanometers)found in American sunscreens are either titanium dioxide or zinc oxide.While these two are the only ingredients known to be safe, this safety does not extend to nano-sized versions. We have used both of these safe ingredients in our Sunscreen SPF 50 for nearly 10 years. This is likely why our sunscreen was rated No. 1 two years ago by the Environmental Working Group. Animal research has shown that inhaled nanoparticles can reach all areas of your respiratory tract and, since your lungs have difficulty clearing small particles, they may be allowed to pass into your bloodstream. Other studies have proven some nanoparticles are even able to cross your blood-brain barrier. If allowed to enter your lungs or penetrate your skin, nanoparticles therefore have the potential to cause widespread damage to your cells and organs, immune system, nervous system, heart and brain.FDA has previously expressed concern that inhaling these products may be risky, especially to children, and in 2014, Consumer Reports advised parents to avoid spray-on sunscreens until the FDA had finished reviewing the sunscreens. Inhaling higher amounts of zinc oxide can lead to “metal fume fever,”characterized by chest pain, cough, dyspnea, reduced lung volumes, nausea, chills, malaise and leukocytosis. One 2012 study21 found zinc oxide nanoparticles to be cytotoxic. They elevated zinc levels causing mitochondrial dysfunction and apoptosis (cell death). Similarly, an Indian study concluded that zinc oxide nanoparticles cause toxicity in human lung cells possibly through “stress-induced apoptosis.”22 Human studies are sorely lacking as to the health effects of inhaling of zinc oxide particles, especially at lower levels, such as from brief exposure to sunscreen spray. However, using these spray-on products are clearly an unnecessary risk since safer options are readily available. Your safest bet is to use topical zinc oxide or titanium dioxide that does not contain nanosized particles. While sun avoidance recommendations make it sound as though all sun exposure is dangerous, the primary risk factor of skin cancer is sunburn, which is an inflammatory process that damages your skin. Sensible sun exposure is actually a crucially important component of good health, as your body produces vitamin D in response to UVB light striking your skin. It’s important therefore to maintain a balance — you want to expose large portions of skin (without sunscreen on) to sunlight on a regular basis (ideally daily), yet be very careful to avoid getting burned. Aside from covering up before you get burned, you can reduce your risk of sunburn by eating plenty of antioxidant-rich fruits and vegetables, and/or taking an astaxanthin supplement. The latter has been shown to work as an effective internal sunscreen, protecting your skin from UV radiation damage. 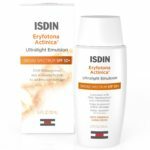 In addition to copious testimonials and anecdotal evidence, scientific studies have substantiated these skin protective effects.23 In one study, subjects who took 4 milligrams of astaxanthin per day for two weeks showed a significant increase in the amount of time necessary for UV radiation to redden their skin. In one study, mice were fed various combinations of astaxanthin, beta-carotene and retinol for four months. Astaxanthin was substantially effective in preventing photoaging of the skin after UV radiation, as measured by markers for skin damage.